The fluttering of distant memories comes to life through the sounds of Francesco Giannico, whose blend of electronics and acoustic instruments paint beautiful pictures of lost times. His musical approach is described as a cinematic journey which pushes the boundaries of digital media even further by incorporating smooth melodies and gentle textures. 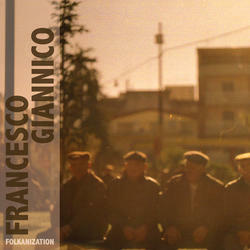 More traditional instruments such as guitar and piano are constantly present into Francesco's music, within interrupted structures or long and dreaming sonorous carpets.